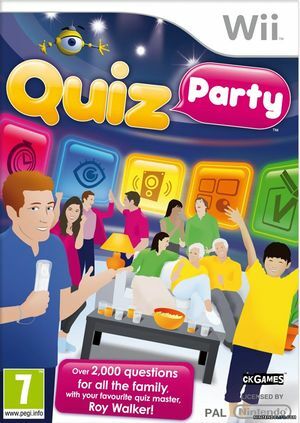 Quiz Party is a fun quiz game for an unlimited number of players, which uses just a single Wii Remote! Form teams and be the first to answer pop culture questions, many of which were created specifically for a UK audience, voiced by none other than TV quizmaster Roy Walker. Sound in videos doesn't work. To fix this issue use the "DSP LLE Recompiler" DSP engine. The graph below charts the compatibility with Quiz Party since Dolphin's 2.0 release, listing revisions only where a compatibility change occurred. This page was last edited on 12 January 2018, at 09:46.